Liverpool’s former Director of Football Damien Comolli has blamed Jordan Henderson for his dismissal from the club. Comolli played a key role on bringing Henderson to the club from Sunderland in 2011, for a reported fee of £16 million. The midfielder had been named as Sunderland’s best young player for the second year running back then, and was even named on FIFA’s list of 13 young players to look out for. Comolli went in for the Englishman, and successfully signed him. However, Henderson struggled in his first season with the Reds, and Comolli claims he lost his job as a result, with Liverpool’s owners giving him the sack. “He is one of the main reasons I got sacked,” Comolli told Sky Sports‘ Jim White in an interview with talkSPORT. “The day I got sacked, they [Liverpool’s owners] told me I had made a big mistake on Jordan and he was a waste of money. Looking back, Comolli will have every reason to feel hard done by. Henderson has gone on to display all the qualities Comolli saw in him, establishing himself as a crucial player for Liverpool. 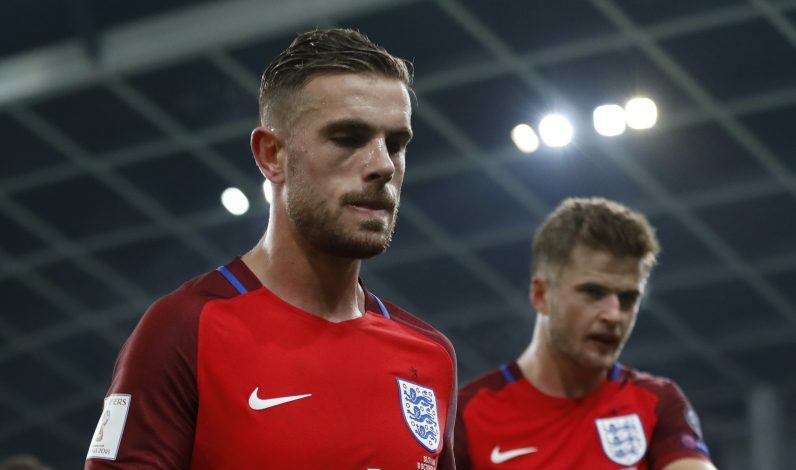 After the departure of Steven Gerrard, Henderson was given the Liverpool armband, and he also received the captain’s armband for England’s World Cup qualifier against Slovenia, as Wayne Rooney was dropped. Such has been the rise of the midfielder since his early struggles, but Comolli claims that he had already seen Henderson as a future captain. “I never said it publicly, but I was convinced he would be the future captain. People will say it is easy to say now, but I was convinced at the time that he would become the Liverpool captain. Now he is and he is also the England captain. “I was totally convinced, as was Kenny, that we were doing the right thing for the club,” said Comolli. “He fitted the profile we were looking for. We knew he was an outstanding person, we knew he had leadership skills, we knew he was totally dedicated to football, to his passion, and we knew he was someone who wanted to improve on a day to day basis. We knew his physical abilities – his fitness stats were absolutely unbelievable. “We were looking at statistics and we were going through a lot of midfield players in the Premier League and what amazed me and caught my eye was his ability to create quality chances.